Use tube of gluten free polenta (corn meal mixture), sliced into rounds. Spoon Furmano's Pizza Sauce on top of rounds. Add meat, cheese and sea salt as topping. Bake for 8 minutes in 400 degree preheated oven. Tip: Can substitute ground beef or diced chicken for ground pork. Regular refrigerated pizza dough could be used for a recipe containing gluten. 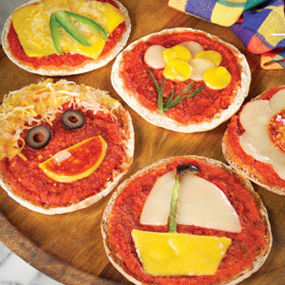 Traditional toppings such as pepperoni and cheese can be used as well. 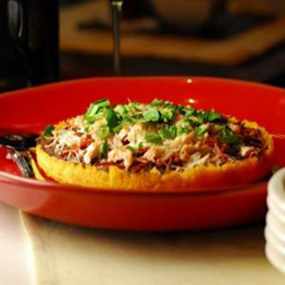 The polenta can be made fresh and chilled on a pizza pan before topped and baked for a regular size pizza.